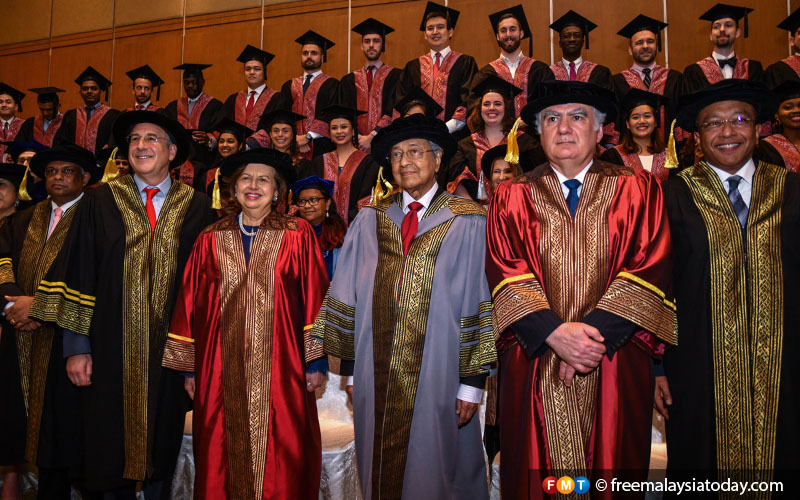 Prime Minister Dr Mahathir Mohamad at the Asia School of Business convocation in Kuala Lumpur today. He is flanked by ASB co-chairs Zeti Akhtar Aziz and Athanasios Orphaninedes. He said education raises the potential of the individual, businesses and economies, which allows them to perform well. “I was trained as a medical doctor. But economists and business leaders always remind me that productivity is an essential ingredient for economic progress,” he told graduates at the Asia School of Business convocation, where he was also conferred an honorary doctorate in business management. 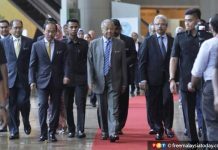 Mahathir said higher salaries without higher productivity is meaningless as it will only lead to higher prices of goods and services. One of the greatest challenges for Malaysian businesses today is to raise productivity across our economy, he said. 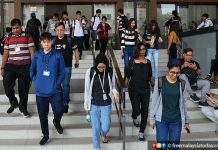 He said the national standard of living and the ability to transform Malaysia fully into a developed economy status will be strongly influenced by the ability to raise productivity rates. 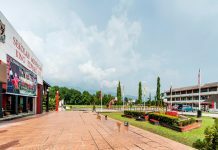 “This is where education is a critical contributing factor in developing knowledgeable and skilled talent that will raise the country’s productivity,” Mahathir said. However, he cautioned that while knowledge is powerful, without the right values, it will become futile and, “at times, even destructive”. differentiate between right and wrong, good and evil,” he said. He said there are many instances where much destruction has been done by “very smart individuals”. “The pursuit of knowledge should be a life-long endeavour and, more importantly, it should be complemented with the right values and character,” he said, adding that people should be humble and generous. “Be open to new ideas as well as to the possibility of being wrong and be guided by a right moral values while contributing to the betterment of society,” he said.